Grouped and colour-coded under three flavour profiles - ‘Smoky', ‘Sherry’ and ‘Bourbon’. This is the purple/sherry profile. Designed to help whisky drinkers to begin an exploratory journey through the Gordon & MacPhail portfolio, each bottle features a brief tasting note and either a vintage or age statement. Aroma Sherry aromas mingle with orange marmalade. Dried fruit notes develop; subtle spices weave through creamy vanilla toffee. Taste Deliciously smooth and creamy; a gentle warming cinnamon spice matures into flavours of chewy dates and stewed plums with walnut undertones. Finish Smooth milk chocolate with lingering dried fruit and hints of nuts. Formerly owned by Pernod Ricard, now taken over by the glenallachie distillers company founded by Billy Walker formerly of Glendronach/Benriach/Glenglassaugh. Under Pernod only 1 expression of single malt on sale. Built in 1967. Located near Aberlour in speyside. The new core range will feature Old Pulteney’s existing 12-year-old, and the new no-age-statement Huddart, plus a 15- and 18-year-old. The HUDDART has been matured in a combination of second-fill American oak and ex-Bourbon casks, before being finished in ex-Bourbon casks that previously contained heavily peated whisky. The maritime malt removed its 17- and 21-year-old expressions in June 2017, citing stock shortages. The new-look Old Pulteney core range also sports a new bottle design, which ‘freshens up the overall look’ yet retains the brand’s distinctive bottle shape. Our 'Distillery Labels' range is testament to the long-standing and unique relationships built over generations with Scotland's distillery owners. We have been entrusted with new-make spirit from many of Scotland’s distilleries to mature in our casks, our way. Because of the strong working relationships we had with distillery owners, we would bottle and sell the spirit they created as single malt on the condition that we used their 'house' label with the caption "bottled by Gordon & MacPhail". Aroma Delicate sherry aromas mingle with milk chocolate; vibrant seville orange and dried fruit notes come to the fore with time. Hints of cinnamon and nutmeg add a warm spicy undertone. Taste Peppery yet sweet; dashes of warming white pepper develop into rich fruitcake flavours by toasted almonds, candied cherries, and twists of orange peel. Finish Complex; charred oak combines with liquorice and milk chocolate. New bottle shape, now first permanent age statement in range. The expression, which is bottled at 50% abv and uses only Scottish barley, has been matured in first-fill American oak, refill American oak and refill French wine casks. smoky sweet notes of ‘coconut, vanilla custard, lemon honey, smoke oysters and sun baked salty sand’. In June 2018, Bruichladdich announced the re-launch of the Port Charlotte whisky brand. The brand will have 4 expressions: Port Charlotte 10 YO, Port Charlotte Scottish Barley 2011, Port Charlotte MRC:01 2010 and MC:01 2009. Port Charlotte Islay Barley 2011 is a new vintage comprised of whisky produced from barley grown on three Islay farms – Dunlossit, Sunderland and Kilchiaran. Bottled at 50% abv, the whisky has been matured in mostly first-fill American oak with some whisky aged in refill Syrah and Merlot wine casks. It will be available globally for around £60 per 70cl bottle. Port Charlotte MRC:01 is a limited edition expression distilled in 2010, and matured in ex-wine casks from Bordeaux. Bottled at 59.2% abv, it will be available in domestic markets around the world for £90 per bottle. Lastly, Port Charlotte MC:01 is a limited 2009 vintage matured in Marsala casks, which has been bottled at 56.3% abv and will be available in travel retail only. Our March theme is 'Sweet 16'. This was a chance to try different whiskies that have all been matured for 16 yrs. These high quality expressions showcase what can be achieved in 16 yrs (in wood) an also the the quality and diversity that can be achieved for 3 simple ingredients (Water, yeast and barley). The tasting was hosted by our very own Alan Kendall.  Speyside region, built in 1879. Damaged by fire in 1898.  The 16 yr old is a mixture of first fill bourbon and sherry butts.  Speyside region. Founded in 1965. Youngest distillery tonight.  “Island” region, though technically that’s highlands.  Last week they revamped their range and branding with 10, 12, Seven wood NAS and 18yrs old. The 18 is £75. The 16 yr old is being discontinued by April.  Speyside region. Founded in 1879.  Output 5.5 million litres / yr. Biggest one tonight.  Large fire in 1897, exploded in 1903 and another fire in 1922.  A “variety of casks” is all it says. November 14th was the night Islay came to Woodchester. For our 2nd distillery tasting of 2017 we were lucky enough to host the fine fellows of Kilchoman. Introduced to SWC through Vinotopia in Tetbury, we were able to secure a tasting which will stick in the mind for a long time. George Wills led the tasting. As a son of the owner he has grown up with the distillery and is very much part of its history and its future. His knowledge of the production process is second to none. Kilchoman is the first distillery to be established on Islay in over 124 years. The distillery was built in 2005, with the first run of new spirit coming off the stills later that year. It is one of the smallest distilleries in Scotland with an production of approximately 200,000 litres of alcohol in 2017. To put this in perspective Bruichladdich produce 1.1 million, Caol Ila 6 million and Macallan 20 million litres. That being said, to try to keep up with the phenomenal demand they are planning on doubling the size of the distillery within the next 18 months. The plan is to mirror the still house next door to the existing one to duplicate everything exactly. They are also one of only six distilleries to still carry out traditional floor maltings, but the key difference at Kilchoman is that the barley is grown there on the farm, whereas other distilleries purchase barley from around the country. So when they say they produce a bottle of 100% Islay, you know every part of the process is completed right there on site, even the bottling. The only element that is not from Islay are the Buffalo Trace (batch 2) bourbon casks. These are shipped over whole from Kentucky to keep as much bourbon influence in them and keep them as fresh as possible. The first bottle of the night we sampled was the Kilchoman 100% Islay 7th Edition. Bottled at 50% ABV it is a limited production run. Only 12,000 bottles were produced this year and these were distributed to 46 global markets. Last year this expression made up 15% of total production. Light gold in colour with a punchy nose of salt, peat, sweet vanilla, light smoke with floral notes. The palate is light and fresh delivering salty, sweet, creamy butterscotch. Vanilla follows with floral notes then comes the peppery bite and waves of smoke. It has a soft mouth feel and is a fantastic dram. The finish is loooong, smoky and lingers with a gum tingling pepper. This is again a non chill filtered non age statement. It was launched in 2012 and is a heavily peated single malt to around 50ppm. The barley for this expression comes from Port Ellen and is matured for around 5 – 6 yrs (shh, this is unofficial) in 90% bourbon casks and 10% Miguel Martin Olorosso sherry casks. The nose delivers peat, sweet smoke, citrus and sherried fruits. The palate is very similar to the nose which is good news. The smoke rolls in and then with the finish you get a long lingering smoky, peaty wave with a pepper bite on your tongue. A new release from sept/Oct 2017 this is a great addition to the line up. Matured in 80% first fill 300l bourbon casks and 20% olorosso sherry casks it has been matured for 8 yrs (2009-2017). It is similar to Machir Bay but with more sherry influence and limited to 11,000 bottles. The nose is fruity, soft with peat, smoke and salt. The palate brings more of the same. Smoke comes on more but it has a soft mouth feel and the dark fruits (raisins and cherries) shine through. The finish is long and lingering and the pepper bite and mouth watering. This is a non age statement but we have it on good authority it has been matured for around 5 yrs in mainly sherry hogs heads. These casks make up around 70% with the rest bourbon. The maturation time is about the same as Machir bay and this gem of an expression was launched in 2016. It proved extremely popular on the night. The nose presents a lot of sherry as you would expect, there are malty notes, raisins,sherry and a waft of smoke. The palate brings a big, sweet, spicy punch to the tongue with peat and smoke following up but not over powering. The finish is long as you would expect but very fruity, pepper bite but not overly smoky. The high proportion of the Miguel Martin Olorosso sherry casks are a quality touch and are the same as used by Glenfarclas. Nice touch. So this is where things get interesting for those who like sherry. Loch Gorm is a new release for 2017. Matured since 2009 in 100% olorosso sherry casks. These are predominantly 1st fill with some refill casks. They have released 10,000 bottles this year. Big sherry nose, cocoa powder, sweet raisins, salt and peat. The palate brings smoke peat and pepper, The sherried fruits are still right in there and are going nowhere. The finish is long and the fruit fades to sweetness & smoke and a very light touch of pepper. In 2010 Kilchoman bought 125 litre bourbon quarter casks. These were used to mature spirit for 6 yrs and the resulting expression was bottled on 2016. As it is cask strength the nose is as punchy as you would expect. Citrus notes, vanilla and peat. The palate brings more smoke and more vanilla with the peat taking a slight back seat. Long punchy, smoky finish which just goes on and on. This is a beast of a whisky in all the best ways. After 6 fantastic expressions we had bee on a real journey. The intimate knowledge, the passion, the stores (ikea teapots and the fire to hint sat just 2) and the whisky made for an evening those who attended will remember for a long time. To whet your appetite for what is to come they gave us an isight to what is in the warehouse. Around 70% of the casks currently maturing are bourbon, 20% sherry, the rest are red wine, port, Madeira, rum, wine and even 18 cognac. What they are going to do with these we will have to wait and see. Thanks to Kilchoman and Vinotopia and all those who attended to help make a special evening. Also, a special thanks to Sean who despite his enormous efforts it making the evening possible was eventually unable to attend. Distilleries produce the spirit and, to a large extent, they sell it under their own brand name. There are, however, many other companies that will buy a cask, or casks, from a distillery and then re-sell under their own branding. These are called Independent Bottlers (aka Indies). Why do they do this? Sometimes it is to use orphan stock from the distilleries i.e. a barrel that the distillery has no use for. Maybe they can’t use it or don’t want to if it doesn’t fit the distillery flavour profile - they are, after all, seeking consistency. Sometimes Indies will buy to sell as a single cask offering, maybe a barrel strength offering, sometimes to make their own individual blend. They can choose when they will release the whisky, how long it will be matured, what finishes will be used, chill filtered (sacrilege! ), or not. Sometimes they will declare which distillery their bottling originates from, sometimes it will be kept a secret; sometimes the distillery will not allow their name to be used. The Indie can also choose how much profit they are going to make, but in general they offer good value and give us the opportunity to get a different take on many of our favourite whisky brands. GLENGOYNE 7 YO KEITH BATCH 4, 24YO – Bottled by Douglas Laing at 46%. £37 a bottle. A highland single malt with a very light straw colour, had obviously been nowhere near a sherry cask. Aromas of lemon, grass, vanilla and a slightly acrid alcohol showing its youthfulness. Very light to taste with honey and citrus fruits followed by alcohol burn and finishing with a bitter lemon aftertaste. Addition of water, mellowed the alcohol burn, but also took away a lot of the character. Glenlossie is a Speyside distillery just south of Elgin. Single Malt, finished in a sherry cask giving the typical dark fruit, raisins & fig aromas – although not heavily sherried, so maybe a refill cask. A creamy fudge taste with dark fruits, finishing with sweetness and a lingering spiciness. Adding a few drops of water, made the finish very drying and a little unpleasant for some. Linkwood is another Speysider and also very close to Elgin. This was highly anticipated by the author, as two previous official distillery releases had been very impressive. Quite floral to smell with some woodiness and a little mustiness, but not unpleasant. Some felt that the nose was disappointingly weak. In the mouth, a very different experience, with loads of character, very fresh with honey, light fruits, spiciness and slight salt. A medium length finish with notes of spice and wood. BENRINNES 17YO – Bottled by Gordon & Macphail at 46%. £51 a bottle. Another one bottled at 46% - is there a sub-theme going on here? Yet another single malt Speysider and again not too far from Elgin. Finished in a sherry cask, this had dark fruits, and caramel on the nose and, in the background, a little mustiness; some even detected a slightly sulphurous note. Full bodied to taste, with plenty of sherry flavours, vanilla and oak leading into a sweet, spicy finish with tobacco there as well. There is very little information about this whisky, no age statement and no distillery information. It has been matured in a mix of sherry cask and bourbon wood and the blurb says it compliments a good Cuban cigar. We’ll have to take their word for that. The sherry is very evident in the nose and the taste with dark fruit, oranges, Christmas pudding and sweetness both in smell and flavour. There may even have been a hint of smoke in there. Finish was spicy with a lingering sweetness - straying very close to bourbon territory. How did they fare? Very close for the top three with just 6 points in it. Twice a year we have a blind tasting - tonight was the first of this year with Jo, our longest-standing member choosing whiskies to challenge our tasting skills, or maybe to expose our paucity of knowledge? 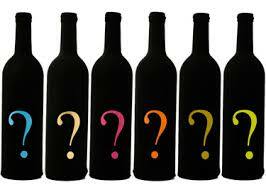 So, how does a blind tasting work? First, Jo took a trip to Arkwright’s splendid whisky emporium near Swindon ( http://www.whiskyandwines.com ) and chose 5 bottles from their extensive range of over 800 whiskies. She then decanted her choices into unmarked bottles and brought them along to The Ram. Sometimes, we are given a few clues to help us along, but Jo is mean and we were given very little information other than there was a theme linking the whiskies. In a moment of compassion and 4 tots in she did tell us that one of them was a blend. There’s a lot of fun to be had, having no guidance other than your sense of taste & smell, trying to guess the age, ABV, region, distillery and price. It also allows you appreciate the whisky without pre-conceptions about how good or how bad a whisky might be. Take a bottle of Glenfarclas 15YO and a bottle of Bells and, without tasting it, you just know which one you’re going to like most – you get my drift, right? A blind tasting can sometimes throw out surprising results. Whisky No 1 – (Linkwood 12YO Flora and Flora range). Pale straw in colour with aromas of pear, tropical fruits and elderflower blossom. (Someone suggested alcoholic Lilt). A very smooth taste with pear and melon and a light spiciness developing into a very pleasant finish. A complex and pleasing tipple. A bottle of this would get emptied very easily - but don’t try standing up too quickly afterwards. Whisky No 2 – (Cragganmore 12YO) – This one hinted of sherry cask (second fill maybe?) with sultanas and mustiness. A buttery mouth feel with light sherry coming through, some honey and a little saltiness as well. The short finish was spicy and warming with a drying bitterness at the end. Generally, felt to be lacking in character and depth. Whisky No 3 – (Johnny Walker Green Label 15YO) – I’m not the biggest fan of JW whiskies, so disclosure came as quite a surprise. Smelling it gave hints of smoke, acetone, wood, damp grass and slightly medicinal notes. Tasting provided an enjoyable mix of smoke, dark fruits and some pear with a thick, viscous feel in the mouth (“chewy” was one description). A lingering finish of sweetness developing into saltiness. A very drinkable whisky – if you like a little bit of peat. Whisky No 4 – (Talisker 10YO) – This one ratcheted-up the peatiness a notch or two and added quite distinct maritime influences – seaweed, old rope - that sort of thing. Definite salt and pepper on the taste buds and a little bit of sweetness balancing out the smokiness. A long warming finish rounds this off nicely. A classic malt. Whisky No 5 – (Caol Isla 12YO) – No prizes were given for guessing where this came from - it shouts ISLAY at the top of its voice with characteristic peatiness and medicinal aromas. Smooth to taste, some oiliness and sweetness giving way to the peat and a lingering salty finish. There aren’t that many distilleries on Islay, so you would think that at least one of us would have got this right? Wrong! At the end of the evening we independently rated the whiskies. … and the theme linking them? Whiskies from Linkwood, Caol Isla, Tallisker and Cragganmore distilleries are constituent parts of JW Green label. All of them are part of the mighty Diageo empire. Finally, the author humbly wishes it to be known that he takes back everything he has said about JW in the past and would now quite happily add a bottle of Green Label to his collection. This month’s meeting was the first of the year and was due to fall on February 14th – Valentine’s Day. To avoid an outbreak of mixed marital arts (aka extreme violence) it was re-scheduled to the 7th. Five excellent bottles were lined up for the tasting – no prizes for guessing the theme. The Deveron – Bottled at 40%. This is the latest brand out of the Speyside based McDuff distillery. Not to be confused with Glen Deveron which is, to help make things confusing, also out of the McDuff distillery. This is priced around £55 a bottle which is good for an 18YO. A nice golden colour the initial aromas are of light fruits and some creamy sweetness followed by a hint of liquorice and some floral notes. In the mouth notes of honey and wood came to the fore with a light, drying finish and spiciness at the end. Adding a few drops of water took away some of the woodiness and gave a buttery mouth feel. Glengoyne – Bottled at 43% and around £70. A Highland distillery, although being just over 10 miles north of Glasgow it only marginally creeps in. Another golden coloured whisky this has been matured in sherry casks which give a distinctive aroma of darker fruits and sweetness. There was also a slightly musty, but not unpleasant smell. Drinking gave a little spicy kick at the back of the throat and some warmth. There was a bit of disagreement on flavour with some picking up on the sherry and others hardly noting it. A medium length warming finish with a little bit of sourness, drying at the end. It was generally felt that this whisky had a narrow flavour profile and not as complex as might have been expected for an 18YO. Glenmorangie – Another Highland whisky, bottled at 43% and circa £85. Labelled as “extremely rare”. It isn’t hard to buy, so “extremely rare” must refer to the maturation process which is described on their website as “Fifteen years maturing in American white oak casks approximately 30% is transferred into Spanish Oloroso casks to spend a further three years maturing. Then, when both elements have reached 18 years, we blend them back together” Was it worth all that effort? Find out in the results of our tasting later in this report. A light golden hue with a very floral nose, some vanilla and sweetness. Very smooth in the mouth with notes of orange, some honeyed sweetness and a richness. Jo likened it to Tooty Fruity sweets! A long, complex and well-balanced fruity finish rounded this whisky off very nicely. Class in a glass. Bunnahabhain – Around £80 a bottle and 46.3% ABV. Hailing from Islay, this is a re-introduced version of their traditional 18YO without artificial colouring and chill filtration. This is light copper in colour (I’m getting fed up of saying golden) and gives satisfying aromas of toffee, leather and a little wisp of peat. Tasting gives sherried notes with some saltiness and a warming spiciness. Quite a long finish with waves of spice and a little peat developing at the end. Talisker – Bottled at 45.8% and approx. £75. World Whisky Awards named this the best single malt in the world 2007, so it has a lot to live up to. Coppery in colour there were a lot of interesting comments about the aromas – antiseptic, germoline, plasticine, linement were just some of the terms used! Some detected a little smokiness as well, someone suggested it smelt like Gloucester Royal. Don’t let it put you off, as tasting gives a complex fruity, salty and peppery experience and a long and salty finish with peat at the end. More class in a glass. As usual we rated the whiskies at the end of the evening. There may have been a pre-conception that Talisker would be first past the post, but it was narrowly beaten into second place. The Ram Inn is holding a competition to Guess the mystery whisky. Simply buy a glass ofthe unlabelled whisky and answer the questions below to win a night for you and a friend of whisky tasting with the Stroud Whisky Club. Clue: The Whisky is a Single Malt From Scotland. 2. Can you guess the distillery that produced this whisky? 3. How much do you think this costs per bottle? Forms are available behind the bar of The Ram Inn (Woodchester). Entry is subject to the purchase of a Shot (25ml) of the ‘Mystery Whisky’ and is subject to availability. The person with the most correct (or closest) info is the winner. In the event of a tie a tie breaker question will be set. This month’s get together was an American themed evening and to start the event off Tom made a round of “Old Fashioned” cocktail using Johnny Drum 15YO whiskey as the base. This was the first time I had tried an “Old Fashioned”, but it won’t be the last – a very enjoyable easy drink for a fine sunny afternoon/ early evening. All of these are multiple award winners and are all worthy of a place in our whisky collections. I look forward to trying them again in the not too distant future. Blanton Original Bourbon – The world’s first single barrel Bourbon. Distilled by Buffalo Trace in Kentucky, the traditional home of Bourbon, with a ‘mash bill’ of approximately 80% corn, 15% rye and barley making up the remainder. Bottled at 46.5%ABV into a quirky bottle with a horse and jockey astride the cork, this is aged for around 9 years in new fill charred American Oak barrels. The aroma and taste bear all the characteristics of a full-fledged Bourbon with plenty of vanilla, lingering sweetness, a little spice with hints of citrus and caramel. A medium length finish to this very palatable whiskey. This has won 4 double golds at the San Francisco World Spirits competition. Balcones Baby Blue Corn – A very interesting, smooth and quaffable whisky all the way from the “Lone Star” state of Texas and the first to be legally distilled there. Made from 100% Hopi blue corn (not sure what that is, but it sounds impressive) and the recipient of a double gold at the San Francisco World Spirits association. Bottled at 46% ABV. Initial nose of caramel with some vanilla and a little bit of harshness, but very pleasant on the palate with dark caramel, apples, some pear - and just a touch of smokiness. A medium length finish with warming spices and sweetness coming through at the end. Bernheim Small Batch Whiskey – A 7YO straight wheat whiskey from the Heaven Hill distillery in Kentucky. A very different mash bill here with 51% wheat, 39% corn and 10% barley malt, bottled at 45% ABV. A crisp and light aroma with lemon, spice, vanilla and oak - all of them also present in the taste. A fairly long finish ending in oakiness and spice. Overall a very well balanced and pleasing whiskey. A double gold award winner at the San Francisco world spirits awards. The evening finished off with an optional tot of Elijah Craig 12YO. This was named for a reverend who lived in Virginia. He kept a warehouse where he stored barrels and one day experienced a devastating fire. He used the charred casks regardless and found they imparted a lovely character. This is a great 12-year-old small batch bourbon, named in his honour. Additionally there was a bottle of "Old Grandad" bourbon which is always a popular "easy drinker". Interesting statistic – in the three years (nearly) that the club has been running we have tried over 100 different bottles of whisky from 17 different countries. At the end of the evening a straw poll was taken and everyone asked to nominate their favourite whisky of the evening. Tying in first place were the Highland Park Dark Origins and the Lagavulin Cask Strength. Next month’s theme will be American whiskies with some really excellent bottles on offer. Sadly, Donald Trump declined to attend, got some other commitments apparently, but we are working on a surprise. You’ll need to come along to find out. Finally, a special mention goes to Tom, for his input to the website that stated “This is a social and informal way to try different males from around the world”. Not sure how many people turned up under a misconception;-) Tom assures us that it should have stated “malts” and he will no doubt blame his spill chocker or predictive toxt. We are not going to let him forget in a hurry!